Author Lena Goldfinch: Haunting Joy YA Series Giveaway! 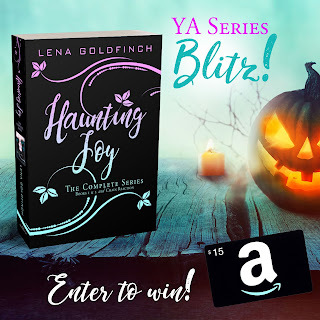 BOOK BLITZ Contest for Giveaway! Amber Holcomb, my editor, has become a treasured friend over the years. She not only helps me get my books into tip-top shape, she's never short on infectious enthusiasm! 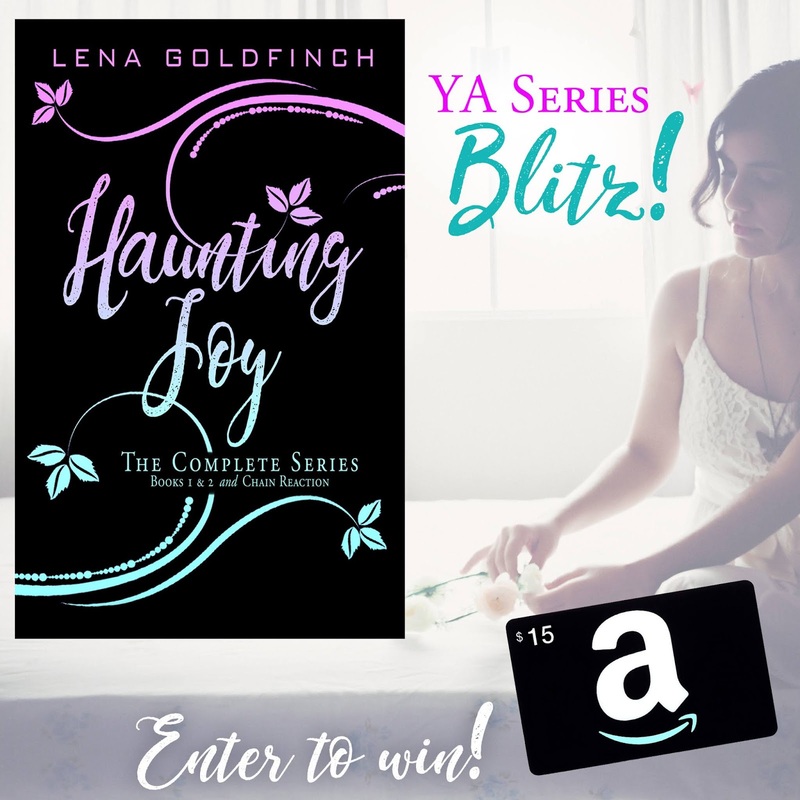 I want to thank her for hosting an awesome YA Series Book Blast to celebrate the release of Haunting Joy: The Complete Series. Many thanks to all those helping me celebrate and promote my new release! THANK YOU!! I like watching people in their costumes and seeing how original they are or aren't.